"A MAN OF SMALL STEPS WITH BIG IMPACT"
Prof. Dr. S. SUYAMBAZHAHAN had completed Doctoral Degree (Ph.D.) from India’s premier institution, Indian Institute of Technology Madras(IITM). His area of Specialization is Computational Fluid Dynamics (CFD) and Heat Transfer [Thermo-Fluids] in the field of Mechanical Engineering. 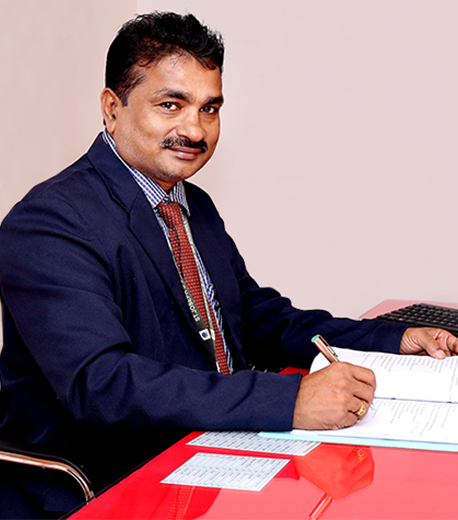 He has 30+ years of experience in Administration, Academic and Research in NBA, NAAC and ABET Accredited colleges and University. He is continuously working as Professor and Principal (Head of the Institution) in reputed Engineering Colleges since 2nd June 2003. He is the Recognized Research Supervisor for 5 Universities, Reviewer for 5 international Journals & member of 18 Professional Bodies. He has research grants for the worth of Rs. 3.94 Crores, created 5 Anna University recognized research centres, established 3 Engineering colleges from scratch to shine in Chennai, 30+ Research publications, filed Patent, published 5 books, signed MOUs with 30 Universities and Companies. 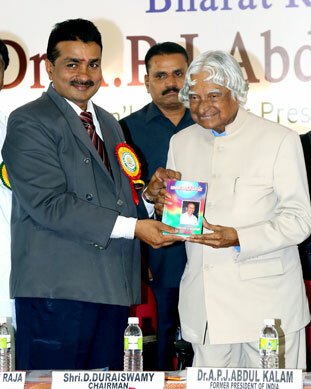 He has received the award from Dr. A P J Abdul Kalam, former President of India for his service and academic excellence in Higher Education for the welfare of the Society. I have vast knowledge in Numerical Modeling and Analysis of Flow and Thermal Projects. I have taught the subjects of Mechanical Engineering like Fluid Mechanics, Engineering Thermodynamics, Advanced Heat and Mass Transfer, Computational Fluid Dynamics, Thermal Engineering etc. several times for UG, PG students and Ph.D. scholars. I presented several Guest Lectures & Seminars in various Conferences, Workshops etc. Also I organized several National level symposiums in various institutions. I have experience in various positions starting from Associate Lecturer, Lecturer, Senior Lecturer, Assistant Professor, Project Officer, Professor and Head of the Department to Principal in reputed institutions. I worked as Principal in an Engineering College located in rural place kanchpadi, Thiruvallur District for systematic transformation of the "Rural Students" into highly motivated Graduates with Professional Competence. Also I arranged various Training and Placement program for Students. The Students were placed in reputed companies like CTS, IBM, TCS, HCL, CSC etc. During the tenure of my service as Principal I have introduced many methods to reform and improve the academic, research and administrative matters of the institutions and have improved the university examination results apart from implementing many plans. I have vast experience in Research & Development especially coding & software knowledge in CFD & Heat Transfer. I have published several papers in International Journals like International Journal of Heat and Mass Transfer, International Communications in Heat and Mass Transfer, International Journal of Heat and Technology, International journal of Experimental Thermal and Fluid Science etc. Also, I have published several papers in International Conferences on Fluid Mechanics and Fluid Power, ISHMT/ASME Heat and Mass Transfer Conference, Sixth World Conference on Experimental Heat Transfer, Fluid Mechanics and Thermodynamics and Conference of Fluid Power Technology, etc. I am the author for various text books in Engineering too. I have received the research grants for the worth of Rs. 3.74 Crores from various funding agencies like AICTE, DST, DRDO, MSME, ISRO etc., and completed three funded projects and submitted the technical reports to the funding agency. I have guided many B.E., M.E. & Ph.D. scholars. Presently, I am guiding 3 Ph.D. scholars from Anna University, Chennai. I visited abroad (Japan) for presenting a paper in Sixth World Conference on Experimental Heat Transfer, Fluid Mechanics and Thermodynamics held during the period 17-21 Apr 2005. I acted as Chief Examiner, Chief Superintendent, Chairman and Camp Officer several times for the Anna University, Manonmaniam Sundaranar University and State Board Examinations. Recognizing my potential and commitment to the conduct of University Exams and Central Valuation, Anna University of Technology Chennai appointed me as Zonal Coordinator for 25 institutions in ZONE-I. To become a visionary leader and good administrator, to manage educational transformation in the institution, to develop high academic appreciation in a background of superb postural care and to make a real difference to student's lives in a totally innovative education setting and to pursue higher level research. To be a sincere, dynamic and outcome-oriented person and to develop the institution beyond the employer expectation and also be an asset to the organization. To pursue a challenging career and be a part of a progressive organization that gives scope to enhance my knowledge, skills in organizing things from scratch to shine and reach the pinnacle in the field with sheer determination, dedication and hard work.